Infant deaths due to Sudden Infant Death Syndrome (SIDS) have reached an annual average of about 3,500 a year, according to a new report from the Centers for Disease Control. Although that number represents an overall decrease in the number of sleep-related infant deaths since the 1990s, the CDC says the rate of SIDS deaths is no longer declining. The agency says its new analysis of data suggests parents can do more to prevent accidental deaths from sleep-related causes. One in 5 mothers place their baby to sleep on his or her side or stomach. Two in 5 leave loose bedding and soft objects in the baby's sleep area (usually bumper pads and thick blankets). Overall, the numbers highlighted the fact that nearly half of U.S. caregivers either haven’t been given the correct sleep information from their healthcare providers or have not implemented safe infant sleep practices in their home. The AAP has recommended since 1994 that babies be placed to sleep on their back on a firm surface without pillows, loose bedding, or toys. In the 1990s, the national "Back to Sleep" campaign led to a sharp drop in the rate of sleep-related infant deaths. However, the CDC report showed the number of sleep-related infant deaths is no longer declining. 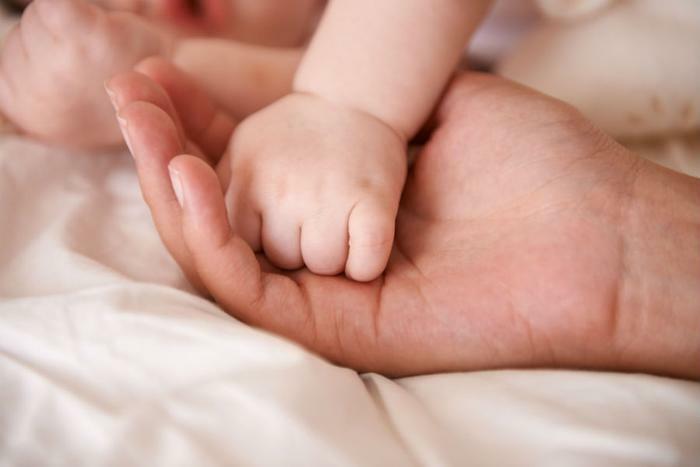 In addition to placing infants to sleep exclusively on their backs in a safe sleep environment, the AAP recommends that babies sleep in a parent’s room -- but not in the same bed -- for at least the first six months. “Room-sharing, as opposed to bed-sharing, is inherently safer because there is limited possibility of suffocation,” Nicole Johnson, president of The Baby Sleep Site, told ConsumerAffairs. Parents also shouldn’t rush to get their new baby sleeping in his or her own room, she said. Infant sleep-positioners that are placed in the bed with a parent can also be risky. Back in October, the FDA warned consumers not to use baby sleep positioners because they pose a suffocation hazard. “Sleep-positioners in the bed with a parent can be risky in that the baby can re-breathe carbon dioxide leading to suffocation if his or her face is too close to the side of the device,” Johnson said. “Co-sleepers, a sidecar-bed that ‘attaches’ to the side of a parent’s bed are usually less risky, but they should be used in accordance to the manufacturer’s instructions to avoid dangerous sleeping conditions,” she said. “A co-sleeper/sidecar crib is a safe way to room-share without bed-sharing while also having the baby nearby to support breastfeeding and/or tending to his or her needs during normal nighttime arousals,” she added. The new findings are published in the CDC’s Morbidity and Mortality Weekly Report.